Sometimes, the biggest problem of dealing with noise coming from neighbors’ apartments doesn’t come from the volume of the sound, but by the bass. Many people act as though they’d just discovered the bass dial on their speakers, cranking it all the way up. This can be a serious problem with consequences for both your hearing and your mental health. After all, there are many ways in which bass contributes to the overall noise pollution. In fact, bass may even be one of the biggest culprits responsible for overall noise pollution. If you’re someone who lives in a bigger city, you may already be suffering from its negative effects. However, most of us still don’t want to go through the hassle of trying to convince our neighbors to be quieter. So, we’re left with thinking of ways to prevent deep bass noise from ever reaching our apartments. In this article, you’ll see a short list of things that will help alleviate this type of outside noise. 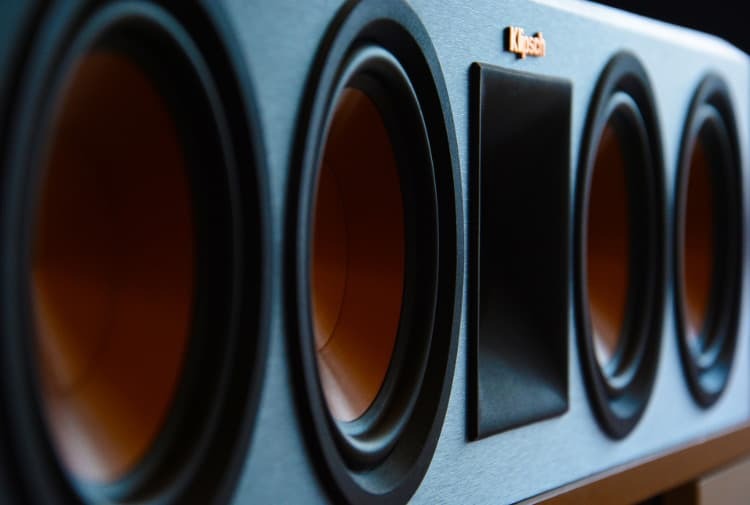 But first, you can read some more about what bass noise is, and how it reaches your home. Is Bass Noise Hard to Stop? Before you can start implementing ways to get rid of bass noise, you need to understand what it is. Basically, bass is a sort of physical manifestation of sound. It’s a crucial part of the hearing experience, to be sure. Even hard of hearing and deaf people can feel bass as a physical sensation. And since we’re not technically hearing it, getting rid of bass may be a little trickier than just using regular soundproofing techniques. When soundproofing against higher-frequency sound waves, you’d use materials which are high in mass as well as density. Of course, high-density fabrics are excellent for sound absorption and redistribution. However, high-mass materials completely block sound waves, and even the type of sensation that bass produces. Therefore, when looking for effective bass-blocking materials, you’ll want to stick to something with a lot of mass. Really low bass frequencies can travel through brick and concrete, which is why you sometimes feel vibrations when a heavy truck passes in front of your building. That sensation is caused by structural noise, which is when a sound is carried through your walls, ceilings, and floors, rather than by air. There’s another article which delves deeper into the differences between airborne and impact noise if you’re curious about that. But wait! You still need to figure out a way to reduce the level of bass noise reaching your home. Luckily, I’ve compiled this handy list of ways to deal with it right here. Honestly, getting rid of bass isn’t going to be cheap or easy. So, before you visit your local hardware store or an online retailer site, you really ought to try the simplest solutions. Okay, most people don’t consider talking to their neighbors to be easy. However, if the bass noise is really unbearable, this could be the only way to get some results. Talk to them in person, or call them over the phone. Politely ask your neighbors to lower the volume or bass of their speakers. Ask them to soundproof their apartment. Notify your building management and have them interact with your neighbors. If you decide to talk to your neighbors yourself, whether it’s in person or over the phone, remember to be polite. Casually introduce yourself and try to be pleasant before broaching the subject. Ask them to kindly keep it down if their activities or speakers are being too loud. You could even try to reach a compromise and arrange “silent periods” during the day. Despite your best efforts, some people might not be receptive to these suggestions. If that’s the case, or if you simply don’t want to engage with your neighbors in the first place, calling the building supervisor or landlord would be perfectly understandable as well. In rare cases, you may even have to resort to calling the police. However, it’s always best to try to approach these things with a calm and non-confrontational mindset. If your noisy neighbors are open to suggestions, you might even suggest that they soundproof their place with isolation pads. As many soundproofing techniques improve general acoustics of a space, point out that the pads would improve the quality of bass they can hear. Additionally, you could even point your neighbors to some resources, like this article about simple ways to soundproof an apartment. This isn’t a joking suggestion. You’ll need to create a separate wall that doesn’t touch the preexisting structure of the room you’re soundproofing. That way, the structural noise passing through the building, like bass frequencies, won’t be able to vibrate through the inner walls. So, they’ll just disperse in the small airspace between two walls. If you’ve read my best wall soundproofing guide, you’ll have noticed that this is fairly similar to what’s happening when resilient channels are installed. They’re basically there to absorb the shock of structural noises. Similarly, the double drywall Green Glue technique from the same article might also be effective here. But, we’ll circle back to this article in the next tip. Now, you should know that building a room within a room will definitely be a rather expensive project. Not only will you need to buy the materials, but you’ll also have to invest time and effort as well. However, even though it would add more cost on top of everything, you might want to consider hiring a professional team. Additionally, for optimal coverage, you may want to float the floors and drop the ceilings as well. As previously mentioned, this step-by-step guide to soundproofing walls covers all of the best soundproofing methods. That article offers plenty of tips that you can use to reduce bass noise. Much like making a room within a room, this wall soundproofing method requires you to invest time, effort, and money. You’ll start by stripping the walls down to the studs, or the wooden frame under the drywall. Then, you’ll want to make note of all of the dimensions and places you’ll need to watch out for while you work, such as power boxes and electrical outlets. Doing this will ensure that you’re buying the correct amount of the materials you’ll need. After you’ve rounded up all of the materials and equipment you’ll need to soundproof the room, you can get to work. Stuffing soundproofing insulation in between the studs and installing Mass Loaded Vinyl (read more) on top should get rid of a lot of airborne sound passing through your walls. However, we know that only high-mass materials can effectively block bass noises. That’s why installing MLV over the studs and insulation works so well. If you also install resilient channels and two layers of soundproof drywall with Green Glue in between, you’ll create an air gap between the studs and your walls which will help the noise disperse. In addition, applying acoustic caulk around the corners of your room will also ensure that it’s air-tight. Still, if you have to choose between just a few of these steps, you should use MLV and resilient channels. The best part of this soundproofing method is that you can use most steps on your ceilings, as well. Aside from floating your floor, there are many methods of soundproofing your floors. In this article on cheap DIY ways to soundproof a floor, I listed many ways it can be done. Covering as much of the floor as possible with thick, dense carpets will absorb airborne and impact sounds. However, more professional methods include placing rubber floor mats and MLV under the carpeting as well. And indeed, you may have another excellent deadening mat already – in the form of your foam yoga mat. Still, if you want to implement the best possible soundproofing method, you’ll need to take your floor apart. After you reach the subfloor, you’ll want to lay down an underlayment – the above article has an excellent recommendation for you – then lay down two layers of plywood with Green Glue in between. Once you’re done, you can put your hardwood floors back over everything. All of these methods should create a high-mass barrier between you and the source of the bass noise. White noise is an excellent tool for blocking noises of all frequencies, including low-frequency bass sounds. That’s because white noise is actually an amalgamation of all humanly detectable frequencies, from 20 to 20,000 Hz. Even though the human perception of bass is more tactile than auditory, bass noise is still just a sound frequency. So, white noise machines should be pretty good for dealing with them. However, I should say that white noise machines won’t completely get rid of all of the sensory elements of bass noise. Still, if you’d like to read more about white noise in general, and white noise fans in particular, I recently posted an article featuring the best white noise fans for drowning out noise, as well. 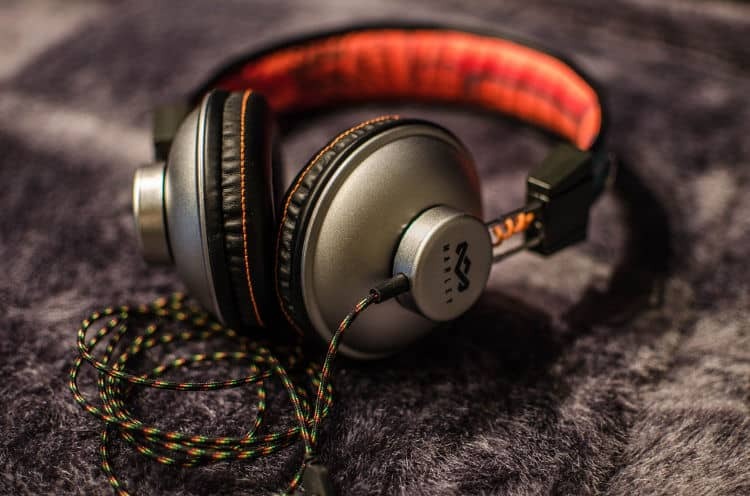 Even if white noise devices don’t get you the bass-blocking results you’d hoped for, they’ll at least help you sleep and even concentrate better. If you’re interested in white noise machines that can make more than one sound, you can read reviews of the best white noise machines (for offices). Even though that article was written with offices in mind, many of those machines can also play other non-looping sounds, like nature and ambient sounds. That could be a more pleasant alternative if you’re someone who gets easily annoyed by white noise. The final tip for dealing with bass noises is to get yourself some headphones or noise-canceling earbuds. You may already know that you can use these products to improve your sleep. In fact, if you’ve been following my articles for a while, you’ll know that I’ve even written about using earmuffs while you sleep. However, did you know that they could also help you keep your cool when your neighbors are blasting bass-heavy music? Both types of noise-canceling products can be of some assistance to you. Of course, typically, earmuffs are more often specifically designed to be noise-canceling. On the other hand, earbuds and headphones more often have the added bonus of blocking outside noise, while also playing music. As you can see, many of the products in my previous articles focused closely on the importance of silence during sleep. But if the bass is shaking your walls during the day, you’ll be able to use any noise-blocking product, and not just the ones I recommended for comfort. So, you’ll be able to broaden your search outside of products made for sleeping. This time around, the most important and effective tips for getting rid of bass noises were presented at the beginning of the list. After all, most people don’t actually want to be the annoying loud neighbor. Your neighbor might not even realize how loud they’re being. That’s why talking to them might be the best option. However, you may not be able to resolve the matter peacefully. Alternatively, your neighbor could be unwilling or unable to implement soundproofing measures. If that’s the case, separating the inner drywall from the structure of the building is the next best thing. Just remember to do the same with the floor and ceiling, if you want the best bass-blocking. And, if for some reason you can’t change the layout of your apartment, you can always try some of the less permanent solutions, like white noise or earmuffs. WANT TO SOUNDPROOF A DOOR?